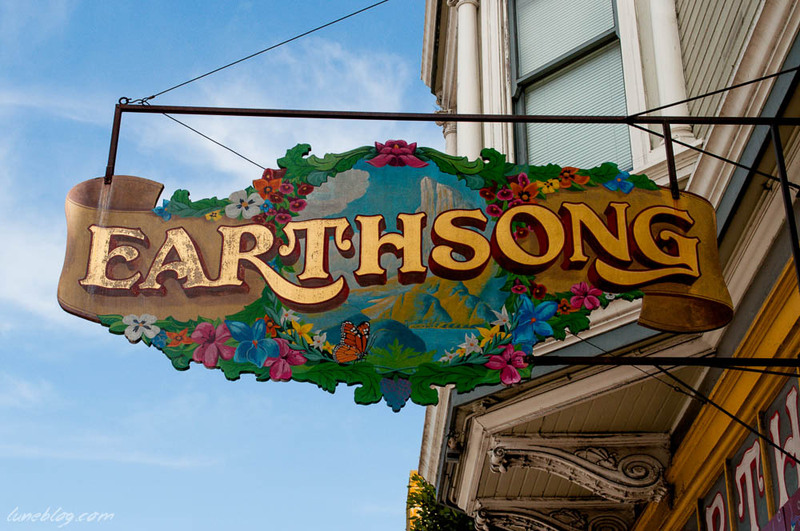 No visit to San Fransisco is complete without some vintage shopping on Haight-Ashbury! Honestly I was afraid I might be disappointed by the hippie made famous street, being a vintage seller myself and having a pretty solid idea of what makes a good vintage shop. I'm happy to report that what I found was both plentiful, well curated and quite reasonably priced (much better than the sticker shock I suffered in New York). If you're concerned about finding the best spots, don't worry. The street is lined with them, calling out to you with cool signage and well stocked window displays. Some catered more towards daily wearable vintage with good price points like Held Over Vintage. 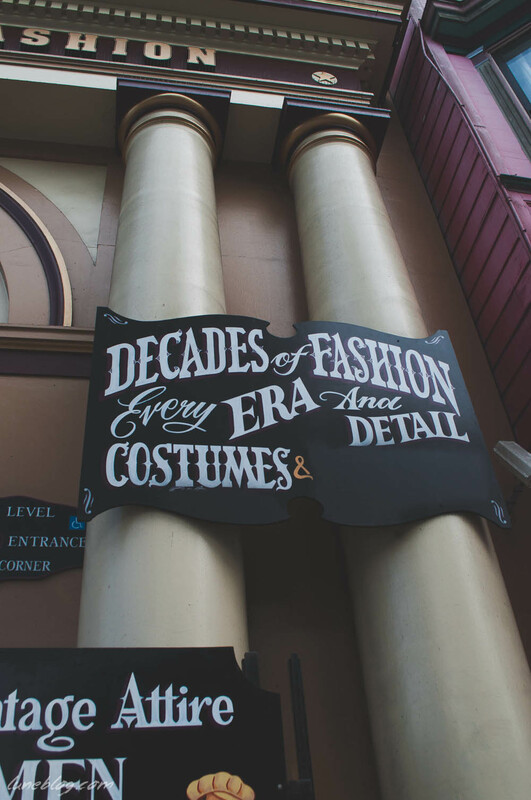 Decades of Fashion was a feast for the eyes, featuring racks of beautiful vintage garments, glamours fabrics and unusual period designs. 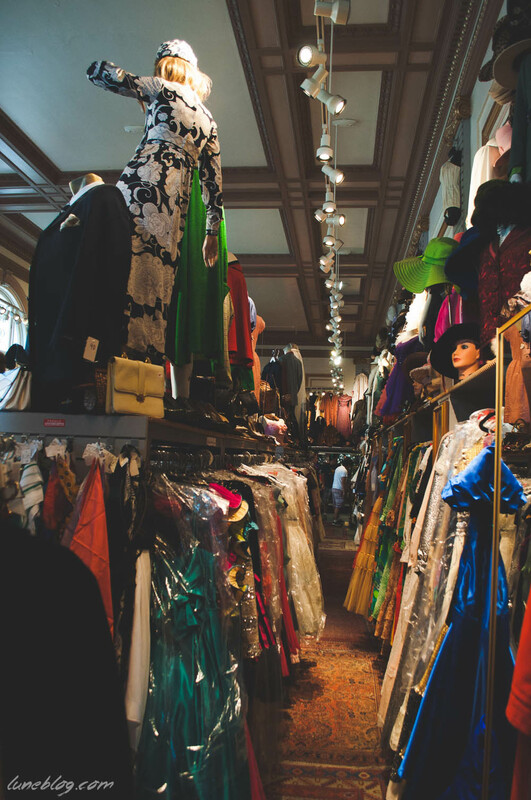 Smaller boutiques like Love Street Vintage were easy to browse and less overwhelming. I pondered a beautiful denim patchwork maxi skirt for under $50 but it was just a bit too small to squeeze into. Darn it! 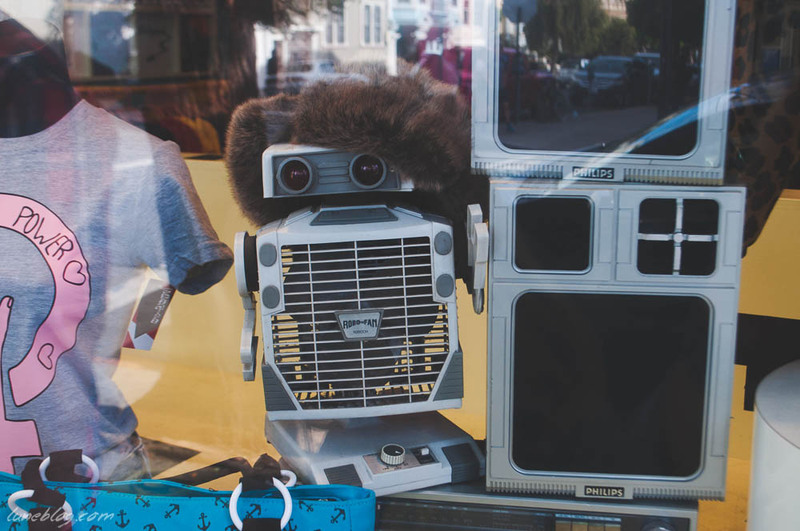 Consignment shops such as Buffalo Exchange and Wasteland offer up great deals if you have enough time to dig around. It's a vintage shoppers dream! 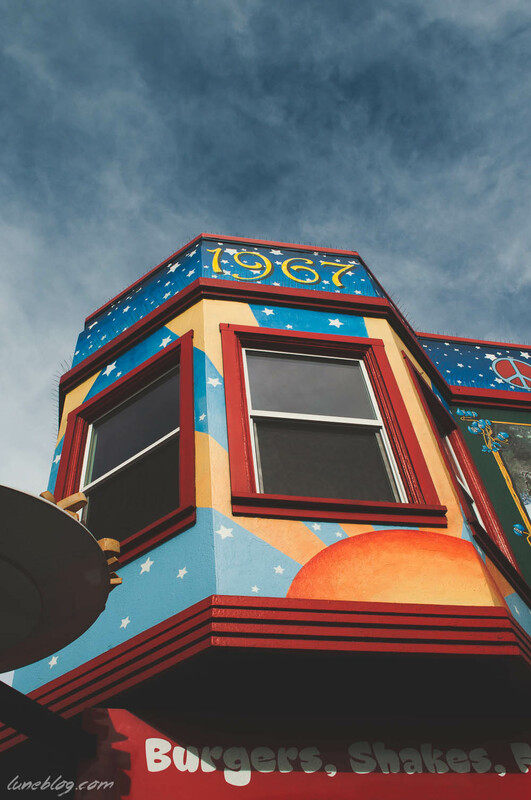 To get the most of the Haight-Ashbury experience you definitely need give yourself half a day to walk in and out of shops, stop to take photos of the murals of 60's icons, admire the architecture and get some grub. 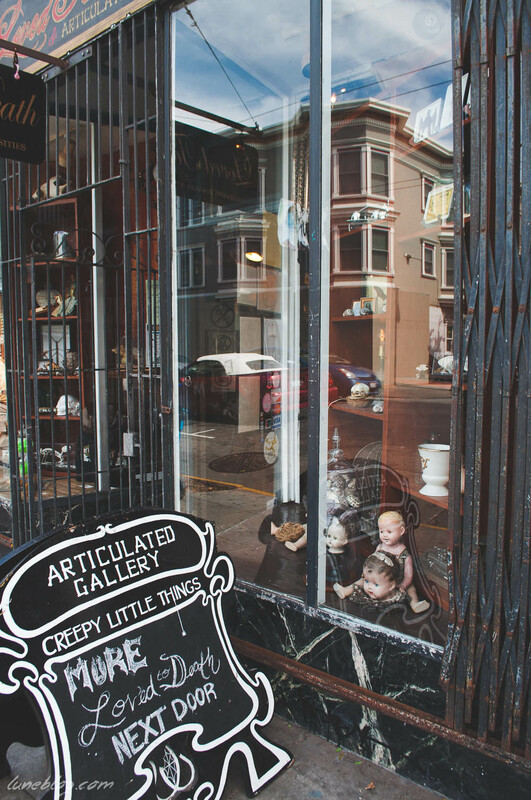 Add to all the vintage fun a ton of bohemian shops, music stores, wonderfully weird and macabre boutiques, retro & custom places and a whole lot of interesting people. I totally missed the guy strutting down the street wearing just 3 socks (guess where the third was being worn?). Our best chat was with a really cool original hippie who sold Eve her yellow VW bus. Our friendly chit chat led us to discover that he moved from Winnipeg back in the 60's. Small world. After all that shopping, we had a simple but totally satisfying lunch at Street Taco. Luke came away with it with a custom hat, Eve her little bus, and I have a 60's wrap dress I'm looking forward to pulling out this summer. I feel like I missed out on a lot, but what we did see was well worth it! 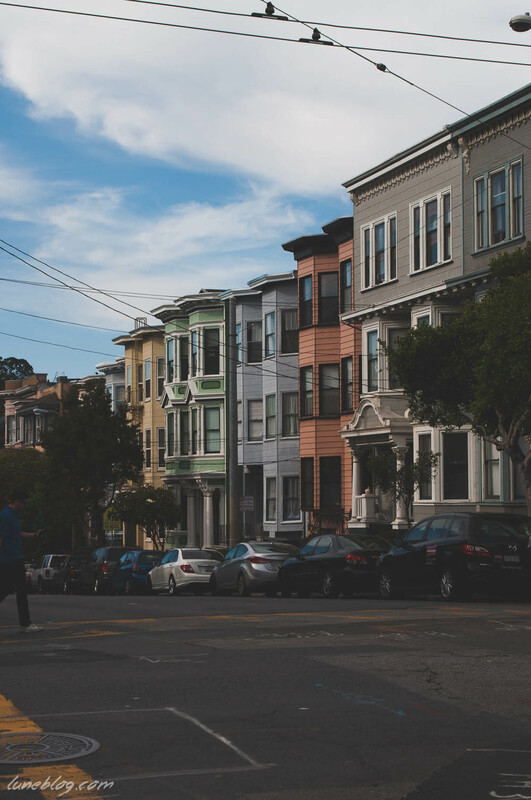 Let me know if you've visited this famous San-Fransisco area and have a favourite shop, boutique or restaurant to recommend!